Avery 403 plastic risers are ideal for giving you extra space between your letter trays. If you add four of these risers in-between each tray, if will give you a clearance of 75mm. 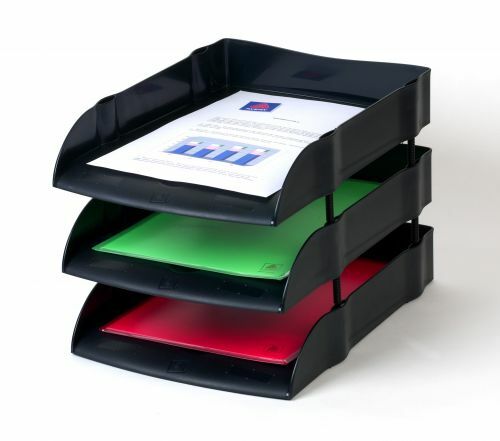 So theres no need to worry about losing papers on your desk, as you can store them neatly in your letter trays. These risers are compatible with the Avery DTR letter trays.